SANTA ROSA, Calif. (KGO) -- Police are looking for whoever left an injured Chihuahua in a dumpster on the Santa Rosa Junior College campus last Tuesday. A college employee found the dog. Both of its front legs were broken. 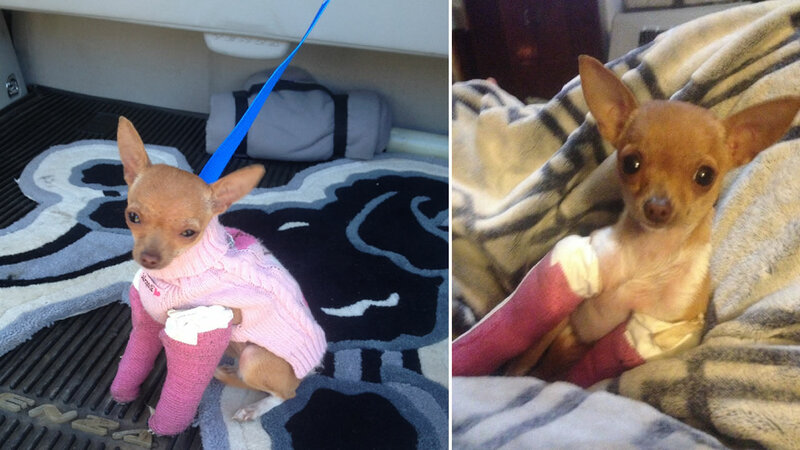 The Chihuahua was taken to the Sonoma County Animal Services shelter for medical attention. The dog does not have a microchip or an ID tag with the owner's information.